Formed in 1970, The Golden Tyme were a vocal group made up of Colorado Springs teens, who performed for hospitals, schools, and variety shows up and down I-25. As singers went off to college, The Golden Tyme found itself in immediate need of a new generation of performers. 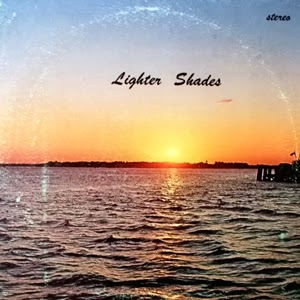 With that, a new name for the group - The Lighter Shades. While billing itself as wholesome Christian entertainment, the mostly Church of Christ affiliated group members (from various churches in the area), wanted to appeal to a younger audience. So they began to expand their set list to include secular pop hits. Either due to audience demand, or just wanting to have a memento for the kids, group director Ron Carter decided to get the teens into the recording studio. Listen to samples of "Proud Mary," "Ticket to Ride,"
"One Tin Soldier," and "Reason to Believe"
Not sure when the group finally disbanded. Couldn't find anything past 1972. Hopefully a former member will let me know the rest. 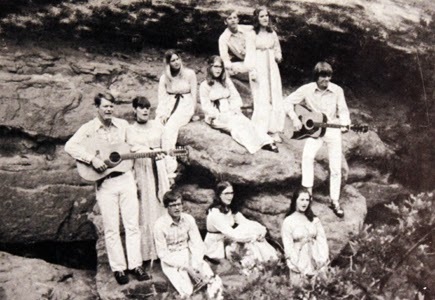 Esoteric vinyl recordings and obscure music history, from the Rocky Mountain State. © Lisa Wheeler and elkbugles.com 2019. Unauthorized use and/or duplication of any material on this blog, without express and written permission from this site’s author and/or owner, is strictly prohibited. Excerpts and links may be used, provided that full and clear credit is given to Lisa Wheeler and elkbugles.com with appropriate and specific direction to the original content.